It’s the year 2030, and Port-au-Prince is the most progressive smart city in the entire Caribbean region. From the rolling hills of Jalousie to the alleyways of Delma, flickering lights are beaming from the windows of tiny smart homes powered by solar energy. Local produce is cultivated from the rooftops of supermarkets where hydroponic urban farms service the growing demand for organic food in a hyper-urbanized environment. All across town, self-driving tap taps transport daily commuters from school to work, while international tourists take advantage of the city’s augmented reality map to identify shops, restaurants, and museums on their phone. A global destination for innovation, experts from around the world flock to Champs-de-Mars — the hottest Design and Innovation district in the Americas — to meet with local rocket engineers working on frontier technologies for interplanetary travel. This is my vision for a progressive Haiti. While many of these concepts might seem like a moonshot today, the speed with which exponential technologies are being implemented in similar emerging markets — where rising innovations can impact millions of users in under 30 days — this vision is entirely realizable by 2030. So, how do we get there? 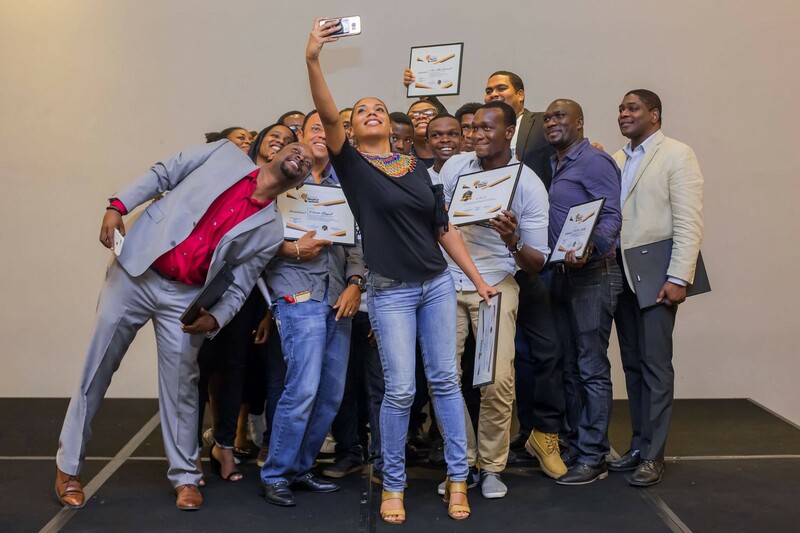 This past June, I traveled to Haiti for the first time in 3 years as a member of the Steering Committee for the first annual Haiti Tech Summit — a 13-year initiative to build Haiti’s tech and entrepreneurship ecosystem through global partnerships. 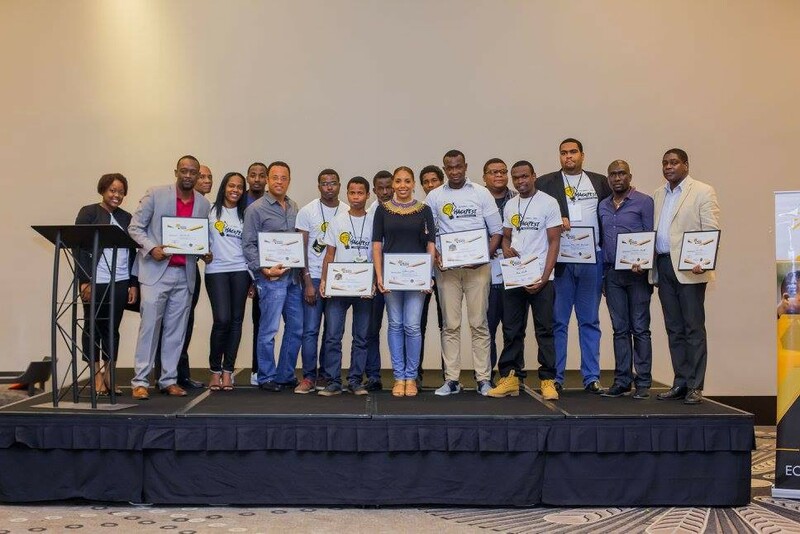 During my time on the ground, I appeared as a judge at a Hackathon focused on building solutions to innovating transportation in Haiti. Climbing the stairs of a bed-and-breakfast turned hacker house, I strolled through the narrow hallways greeting small groups of programmers enthusiastically coding away. As the teams presented their solution, addressing obstacles such as inexistent mapping systems, illiteracy, and inconsistent street signs, it reinforced a truth that I had known since my first return to Haiti after the 2010 earthquake: there is an incredible pool of untapped talent in Haiti, and it is they who hold the keys to the types of innovations that can allow the country to leapfrog into the 21st century. Watching the sunset over the balcony, and taking in the brilliance that surrounded me, I reflected on what might happen next after the Hackathon and the Tech Summit. Will these young talents continue to receive the type of support that they duly need? Will they have access to the capital and networks to grow and scale their ventures across the region and across the globe? In my quest for answers, I scoured the internet in search of local organizations and initiatives that could support these entrepreneurs. I was elated to uncover a few promising initiatives, and decided to create an ecosystem map that would surface the other stakeholders driving impact. 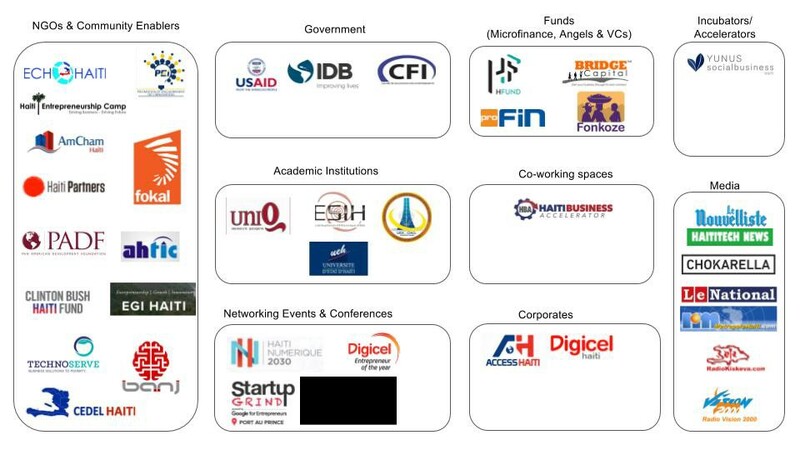 What started as a static page evolved into a web portal that would crowdsource information from various stakeholders in the ecosystem: The Haiti Startup Map. By making this data available and accessible, the web portal can be leveraged as a tool to increase visibility on the landscape, make data-driven decisions around opportunities for capacity building and serve as an indicator for where to infuse capital. Having spent the past two years in Nigeria, establishing public private partnerships to build capacity within the local ecosystem, I found the private sector to be one of the greatest allies in advancing economic agendas. In doing so, stakeholders from their private sector, including banks, venture funds, and media platforms, were equally invested in an economic blueprint that would propel wealth creation in cities across the nation. The same approach can be applied to Haiti. CAPITAL: Limited access to capital, no angel investment network identified. Cryptocurrency, Initial Coin Offerings, and the blockchain will play a major role in building transparency and trust in this space. CO-WORKING: No widely recognized entrepreneurial hubs exist. Leverage models such as WeWork and 1776 in the US, CChub in Lagos, and iHub in Kenya, to promote more frequent and consistent interactions between startups and other actors in the global startup network. COVERAGE: Very few media platforms highlight the progress, initiatives, and success stories across the ecosystem. Leverage tools such as social media, youtube, and international media partnerships to share the narrative. CAPACITY BUILDING: Exposure to artificial intelligence, virtual reality, and mobile app development exists, but is still at a nascent stage and inaccessible to the masses. Leverage from successful models like Andela in Africa, General Assembly, and Women who Code in the U.S, to build a pipeline of talent with skills relevant to the 4th industrial revolution. CROSS-POLLINATION & COLLABORATION: Very few accelerators exist that match large corporations with agile and disruptive startups. Consider industry innovation platforms such as Rocketspace, that are changing the game in business model innovation, bypassing the confines of traditional sylos, and generating new value-laden synergies through collaboration across multiple business sectors. In a follow-up article, I will further explore the opportunities that surfaced in my research, and provide some insights on solutions that have been applied in similar markets. Until then, I hope you will indulge in adding your own stories and insights to the Haiti Startup Map, engage with local ecosystem builders such as Banj, and take part in co-creating the blueprint for positioning Haiti as a destination for innovation.